Jason Sasena is the Senior Vice President of National Mortgage Production with Lake Michigan Credit Union, headquartered in Grand Rapids, Mich. He oversees sales leadership, mortgage marketing and technology. LMCU operates Distributed Retail and Member Direct mortgage origination channels in Michigan and SW Florida. In his career, Sasena has held leadership roles with Lake Michigan Credit Union, Kinecta Federal Credit Union, JP Morgan Chase, GMAC Residential Capital and ditech.com. 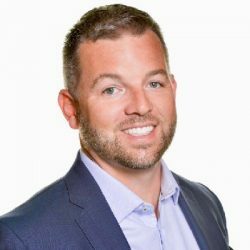 He has a Bachelor’s Degree in Management from Midland, Michigan-based Northwood University supplemented with a Master’s Degree in Internet Marketing from Orlando, Florida-based Full Sail University. Sasena is a contributing author of “The Mortgage Professional’s Handbook,” a comprehensive multi-volume resource since the 2008 “meltdown,” covering every aspect of the mortgage business.